07/2010 Update: No official action has been taken by Conrail of the FRA to finalize the abandonment process, but additional encroachment along the right of way has taken place. In Windsor, NJ the tracks were taken up and the crossing paved over. The Robbinsville Industrial Track, a 5.7-mile portion of the original Camden and Amboy Railroad, is located between mileposts 32.20 and 37.90 in Robbinsville Township and the Township of Hamilton, essentially paralleling NJ Route 130. The Robbinsville Industrial track dates to 1832, the earliest phase of the line’s construction, and includes not only extant, intact track, but a historic freight station and multiple historic rail bridges. The Camden and Amboy Railroad, chartered in 1830, was the first railroad chartered in New Jersey, and only the third to be chartered in the U.S. The construction of this early rail line resulted in the development of many rail construction techniques and innovations that later became commonplace and, in many instances, are still used today. The line ran from New York City to Philadelphia and was therefore integral to the development of New Jersey as the link between these two major metropolitan areas. As such, it is an essential element of the historic built environment of many of the towns through which it travels, including Robbinsville and Hamilton. Today, the Robbinsville Industrial Track exists largely unaltered and unused. In 1976, ownership of the right-of-way was transferred to Conrail, which reportedly used the track actively until two years ago. Since that time, lack of maintenance has allowed the track to become overgrown, and encroachments, such as pavement, have appeared over the track in select spots, but the line remains otherwise intact. The Robbinsville Industrial Track also displays remarkably intact built resources that date from the 19th century, including rail bridges and the former Robbinsville Freight Station. All this could soon change, however, as Conrail has filed for abandonment of the right-of-way. Abandonment would enable Conrail, as proposed in the abandonment application, to remove all track and crossties from the property and sell the land as it sees fit. While the removal of the track would significantly compromise the right-of-way’s integrity, the Township of Robbinsville has indicated interest in facilitating the sale of significant portions of the land to developers as part of plans to create a redevelopment zone along NJ Route 130, an action which would result in complete redevelopment and obliteration of portions of the right-of-way altogether. Conrail’s application for abandonment is currently undergoing review by the New Jersey Historic Preservation Office, which has already indicated concern over the effects the abandonment would have on the Robbinsville Industrial Track itself, which has been determined eligible for the state and national registers. This office has also expressed concern over the potential effect on the surrounding area, including the State and National Register-listed Windsor Historic District, which the right-of-way bisects, and which is a quintessential example of the type of 19th-century development for which the Camden and Amboy Railroad was responsible throughout New Jersey. 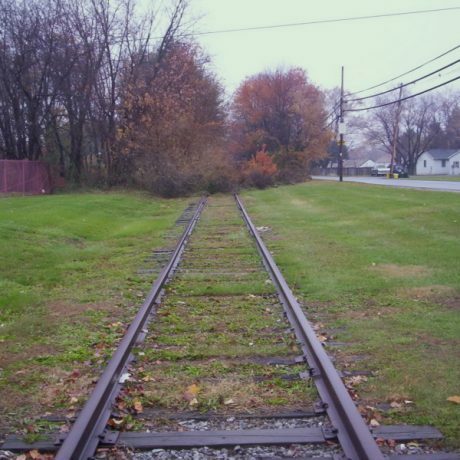 Preservation New Jersey urges the Surface Transportation Board to carefully consider the effects in which approving abandonment of the Robbinsville Industrial Track would result. In the case that abandonment is approved, PNJ encourages the Township of Robbinsville to take advantage of this opportunity to acquire a distinct, unique, historically significant open space for the community. The 5.7-mile stretch in its entirety is a rare, remarkably intact physical remnant of America’s great railroad history, and offers an unmatched opportunity for interpretation of that history. Without its preservation as a whole, the integrity of the resource and potential for educational interpretation will be severely diminished. Furthermore, Mercer County has previously expressed interest in preserving portions of the right-of-way, and abandonment would, therefore, present an ideal opportunity for the Townships of Robbinsville and Hamilton, Mercer County, and local interested parties to work together to craft a solution that both supports local open space needs and provides an excellent opportunity for heritage tourism and education by protecting this one-of-a-kind historic resource.